The Polish Jinx: 50th Follower Giveaway! Coming Soon! 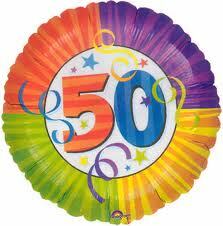 I just got my 50th follower!!! I promised myself I would have a giveaway when I reached 50 followers, I just never in a million years thought it would be four months into my blog!! Thank you SO MUCH to all of you who for some crazy reason actually want to come read what I have to say! I am going to spend the next week getting the prize together, though I know it will have at least one Le Metier De Beaute polish in it! Stay tuned! Will post the start of it, along with the prize pack early next week! Awesome! Let me know how you end up doing the giveaway (after it's over) and whether you liked the platform you used, etc. Deets! Because I'll be doing one soon too and I'm lost! will do. but I don't foresee too many entries as i'm still a small blog. But I will figure it out! I love your blog! I've discovered many new brands I've never heard of before! And I love the color swatches I can't tell you how many colors, Julep polishes especially, that I've bought based on your swatches :)! Thank you so much! Reading that made my day!